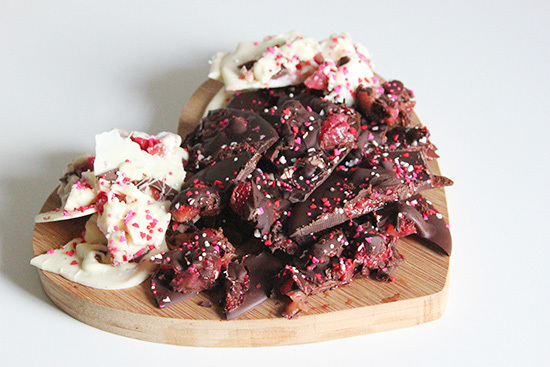 In honor of the holiday, I decided to share this easy chocolate bark recipe that you can make for your loved ones in less than an hour! 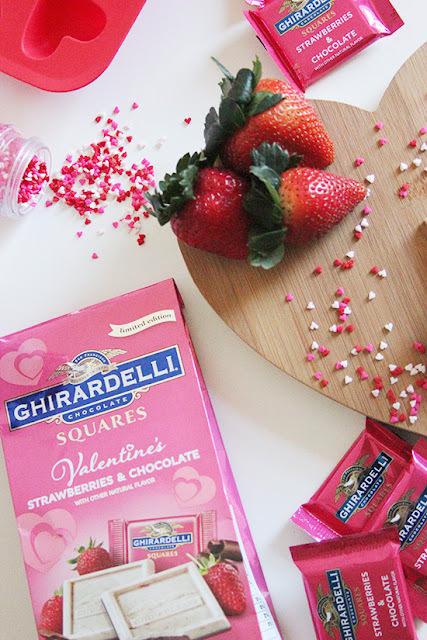 I received the new Ghirardelli Strawberries and Chocolate squares and was inspired by them to make my own bark. 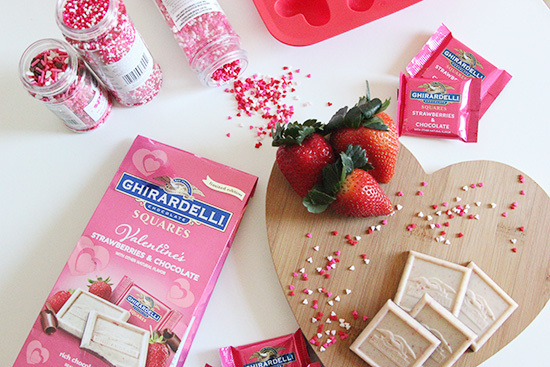 The neat thing about chocolate bark is you can add whatever you like, and in this case, I focused on adding Valentine's Day themed sprinkles. I also chopped up some of the squares I received to add texture to the bark. 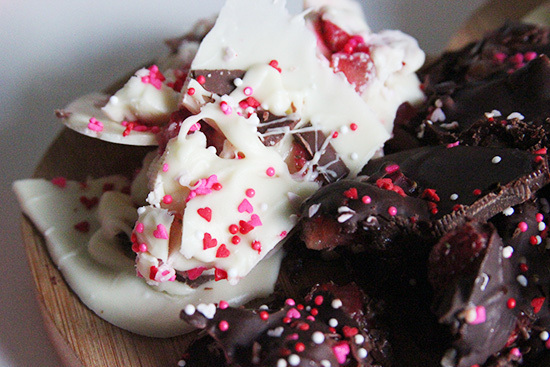 I used fresh strawberries to play on strawberries dipped in chocolate, but I'd recommend using freeze dried strawberries so that the bark lasts longer. 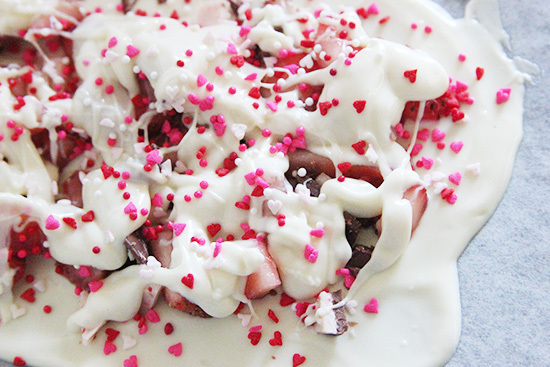 I also used both dark chocolate and white chocolate and love how the pinks and reds pop on the white chocolate bark. 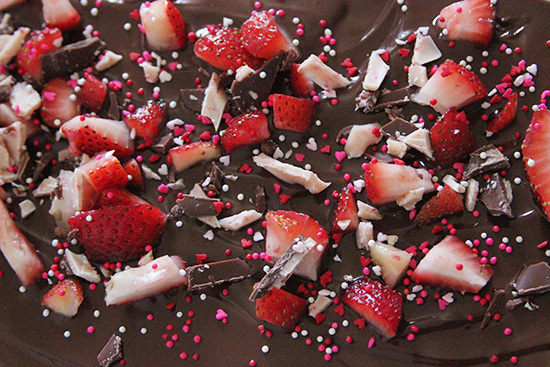 Heat chocolate up in a microwave safe bowl. 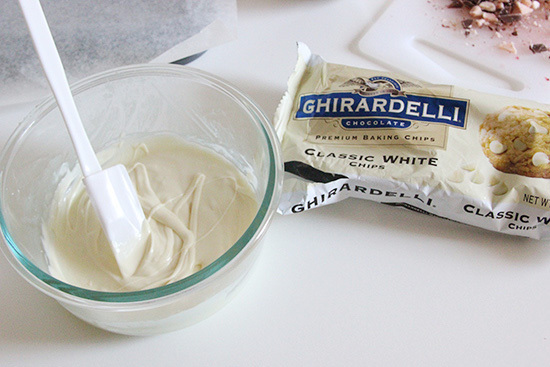 I used 3/4 cup dark chocolate and 1/4 cup white chocolate. Place parchment paper on a baking sheet. 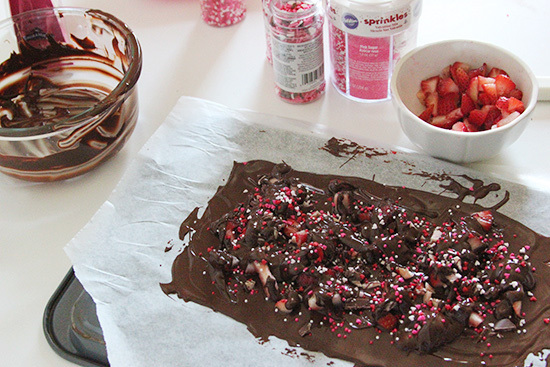 Pour most of the melted chocolate on the parchment paper after it has cooled a bit to keep it from spreading too far/thin. Spread using an offset spatula. 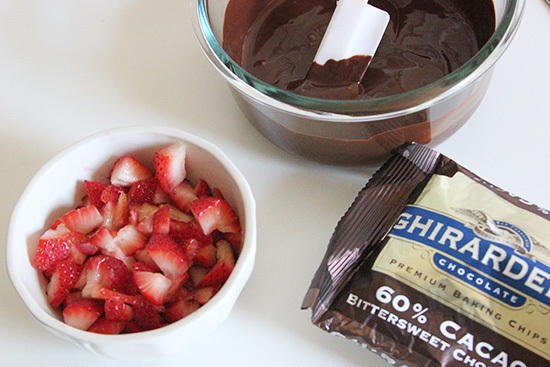 Add toppings to chocolate. Pour leftover chocolate over to help items set. 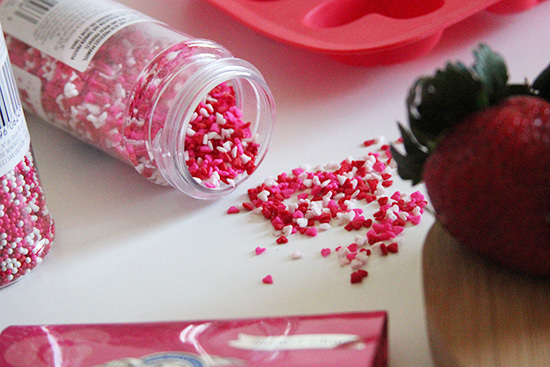 Add more toppings. 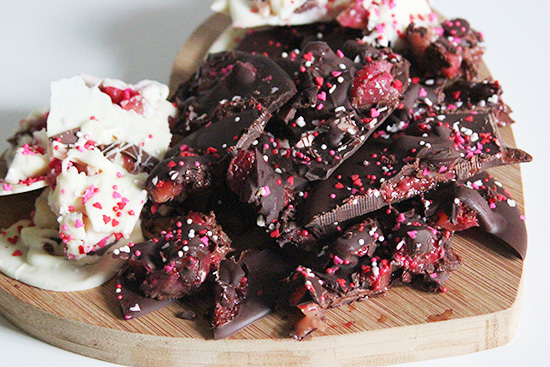 Place chocolate bark in the fridge and let it set for an hour. 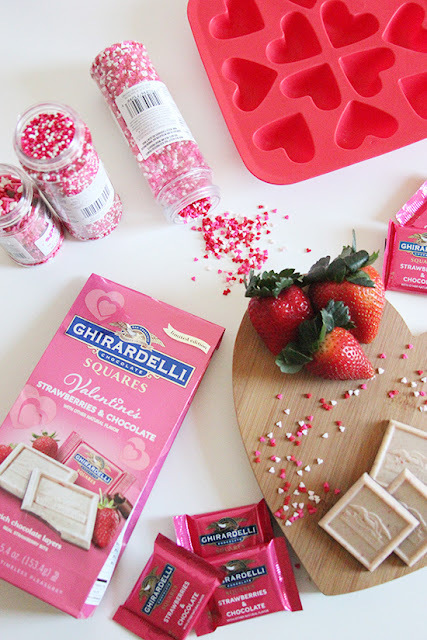 Remove from fridge and cut chocolate into pieces. 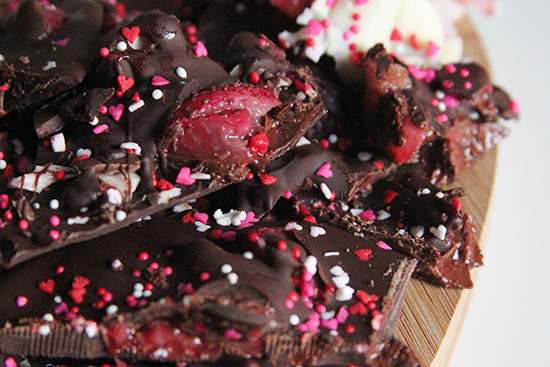 Give this homemade chocolate dessert to your sweetheart or the sweet people in your life. 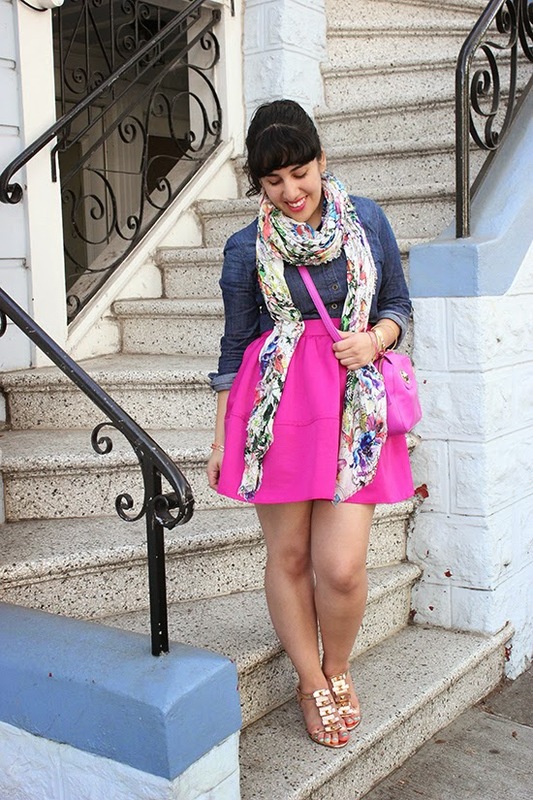 Enjoy and I hope you have a sweet day!